Leading jockey Craig Williams has been booked to ride Kings Will Dream in the Caulfield Cup. Dual Caulfield Cup-winning jockey Craig Williams has secured the ride on Kings Will Dream, the early favourite for this year’s $5 million handicap. But Williams won’t ride the stayer in his first few lead-up races. The lightly raced Darren Weir-trained import is unbeaten in Australia from five starts. He has strolled through the grades this year before winning the Mornington Cup to secure a Caulfield Cup ballot exemption. Kings Will Dream kicks off his Cup campaign in Saturday’s PB Lawrence Stakes at Caulfield with Williams scheduled to jump aboard on race day at the five-year-old’s fourth start of the preparation. 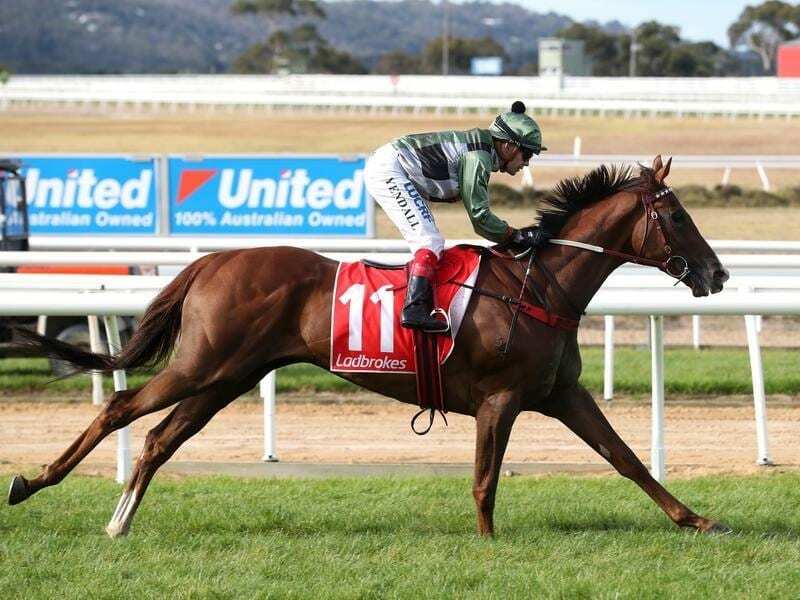 “Craig Williams will ride the horse in the Turnbull Stakes and in the Caulfield Cup and John Allen will ride him in the lead-up races,” Kings Will Dream’s managing part-owner Brad Spicer told RSN927. Spicer said Allen was booked to ride Kings Will Dream in the PB Lawrence, Memsie Stakes and Makybe Diva Stakes. “Obviously Johnny is an integral rider within the (Weir) stable and does a lot of education on the horses and he’s not the easiest horse to get along with,” Spicer said. “Johnny has done all the work on him last time around through trials and track gallops and Darren just feels that’s the best option going forward. Williams won the Caulfield Cup on Southern Speed in 2011 and Dunaden in 2012. Kings Will Dream is at $8.50 in the TAB’s Caulfield Cup market with Ace High and Emotionless on the second line at $15. The Caulfield Cup (2400m) is on October 20.